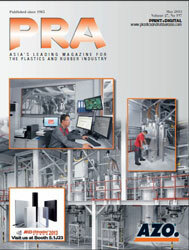 The global market for injection moulded plastics is expected to reach US$ 277.78 billion by 2020, according to a new study by US-headquartered Grand View Research, Inc. Increasing demand for plastic as a packaging material coupled with the growing packaging industry in Asia is expected to be a key factor driving market demand over the next six years. In addition, the growing need for weight reduction in automobiles is also expected to augment the demand for plastics as a substitute to metal, which in turn is expected to increase the demand for injection moulded ABS and polypropylene. Volatile crude oil prices coupled with growing environmental concerns is expected to be a key issue for market participants. Packaging was the largest application segment of the market, accounting for over 30,000 kilo-tonnes of demand in 2013. Growing preference towards plastics as packaging materials owing to their light weight and better aesthetics is expected to be a key factor driving the market over the forecast period. 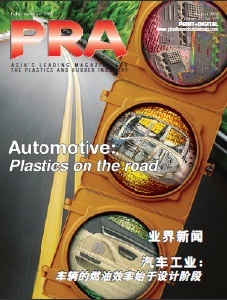 Other key findings from the study suggest that Asia Pacific was the largest regional market for injection moulded plastics, with market revenue of US$70.18 billion in 2013. In addition, the region is expected to witness fastest growth in demand, at an estimated CAGR of 5.4% from 2014 to 2020, owing to its increasing automotive and construction industry. Likewise, polypropylene (PP) was the highest injection moulded resin, with volume estimated at 32,836.1 kilo-tonnes of demand in 2013. Growing demand for (PP) in packaging is expected to be a key driver for the market. In addition, the growing demand for ABS in automotive industry is expected to boost demand over the forecast period. The injection moulded plastics market is fragmented with large number of participants operating in the regional and global market. The key participants include Dow Chemicals, BASF, Exxon Mobil, DuPont, Lyondell Basell and SABIC among others, according to the research.